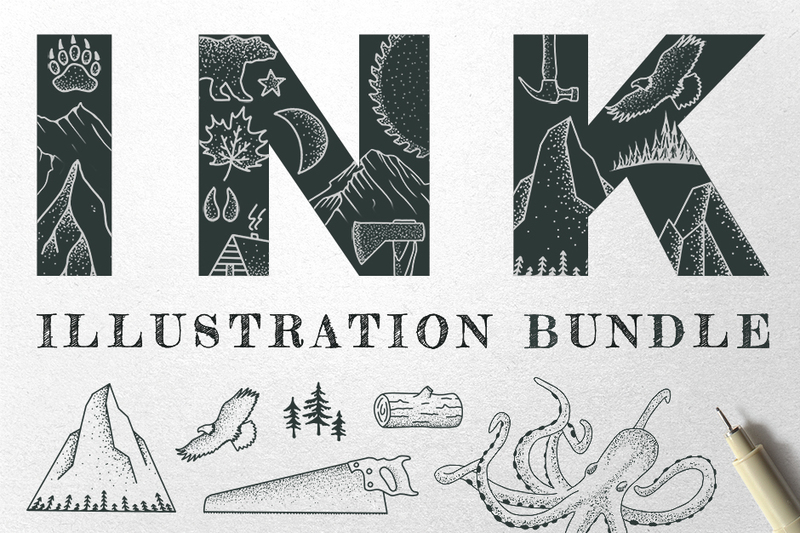 The ultimate collection of ink illustrations designs. All elements are vector and easily editable through Adobe Illustrator or Photoshop. Hand-Drawn Mountain Scenes: 9 nature design elements with a unique ink illustration style. Geometric Landscapes: 6 nature design elements with a unique ink illustration style. Vintage Nautical: 3 hand-drawn designs. Wild Nature: 28 outdoorsy, hand-drawn elements. Carpentry Tools: 6 hand-drawn designs. Floating Mountain: 1 hand-drawn design. File size is approx 142.4MB (240.9MB unzipped), offered as a single download.